CPUs meant for gaming come about in multiple budgets and there’s almost never enough of it that one can get. 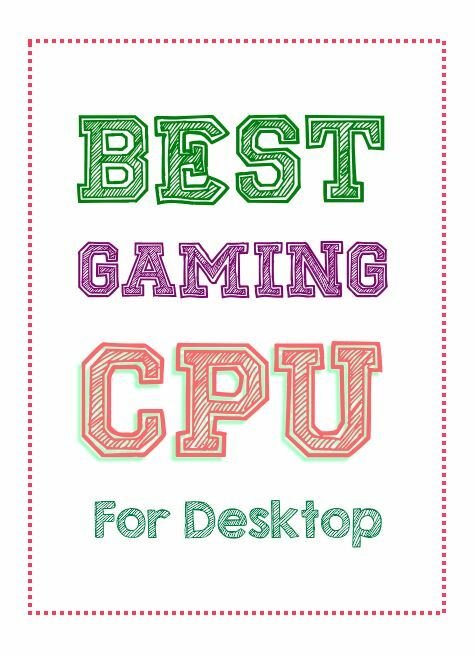 And so, for as long as you have a set budget and are on a lookout for the processors to suit your gaming needs, here’s our list of the best. All you’ve got to do is look up the budget and we’ve listed the best processor that goes with it. A rather recent launch, this one is the latest that fits the budget. Quite similar to the predecessor, it has 4 cores and 4 threads but works at an advanced speed thereby helping you save on the power consumption and also enhance the performance of the system. It has got an increased base frequency of 3.5 GHz with a boost frequency of 3.7 GHz. This one has an added advantage in this budget because it comes with an ATU. Having 6 cores, 12 threads, the AMD Ryzen 5 2600 is one of the best gaming CPUs that falls in this range. It allows you to multithread and also has a value chip, which boosts the performance. The Ryzen 5 2600 has features that are sure to tempt you, especially when it actually is more than just at par with its Intel counterpart. While you might have to pay a little more for this one, the features will make for it. The Core i5-8400 has to offer a six-core design without any hyperthreading in the mid-range and offers a gaming performance that is a class apart as well as offers competitive performance when applications that are heavier are concerned. While you will obviously get more than the features offered by Intel core i5, this one is The base frequency of 2.8 GHz jumps to 4.0 GHz on a single core. Depending on the active cores, there are multi-core boost frequencies for different multicores. Intel's Core i7-8700 has covered all of the best features from Coffee Lake’s architecture right into an envelope of 65W. Further, it has got six Hyper-Threaded cores, packs a 14nm++ manufacturing, along with Turbo Boost clock rates which are better than previous-generation CPUs. Though the locked ratio multiplier might come in as a barrier, those who are wanting a 5 GHz+ overclock, Core i7-8700 couples in operating frequencies thereby making it an almost as good a processor as the 8700K. This thereby makes its performance better also making its working better than the 8700 which is just $50 less. And so, if you aren’t looking for overclocking, this is the perfect option! The 2nd Gen Ryzen chips along with its flagship model of the Ryzen 7 2700X AMD has gotten over all the fixes that it couldn’t go away within the first generation of the Ryzen parts. If you are gaming at 1080p, our it works as good as the Core i7-8700K. However, it has got a premium RGB lit Wraith Prism cooler, which managed to give the Ryzen 7 2700X an edge. Also, it has got a backward-compatibility with the 300-series boards which are less expensive. Given its composition of eight cores and 16 threads, it goes way ahead of the 6 core, 12-thread Core i7-8700K. Despite the advantage that Intel has got in terms of overclocking and single threading, the Ryzens come in handy and not much is benefitted out of the former.